The 4th of July means summer is in full swing, and summer = strawberry. So for the next two weeks, we’re welcoming summer’s tastiest juice bombs! And did you know that we owe it all to a French spy? Story time. 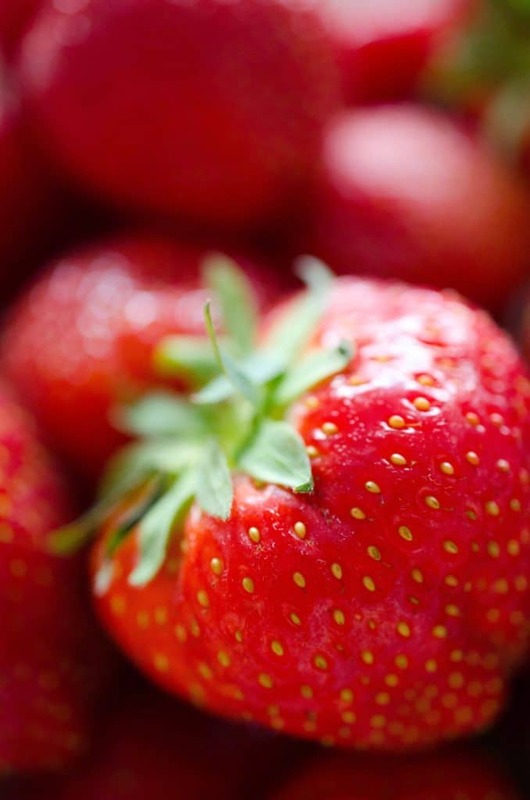 Native Americans introduced Europeans to strawberries way back when, but they were pretty small. It wasn’t until a French spy brought a different breed of strawberry home from Chile that things really got tasty. 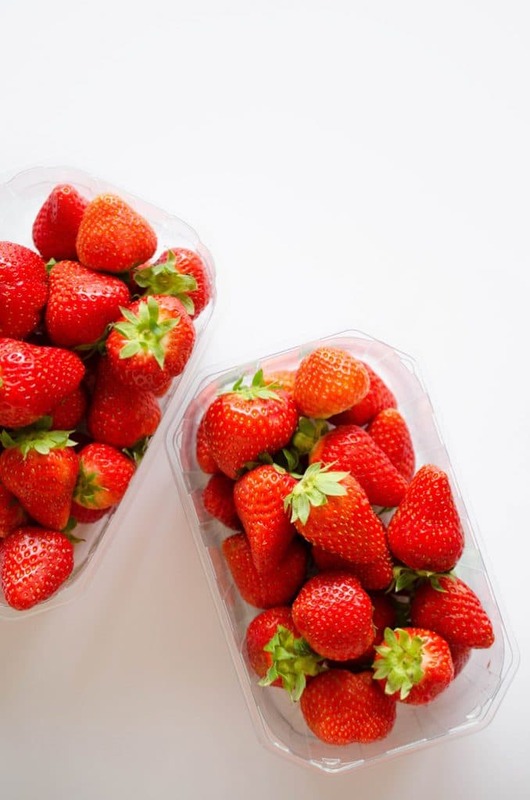 By combining the South American strawberry with the North American, the French bred the big, juicy strawberries we know and love today! Strawberries get darker after picking them, but not sweeter. Rather than depending on color, smell the berries! If they smell strong and sweet, they’re ripe. 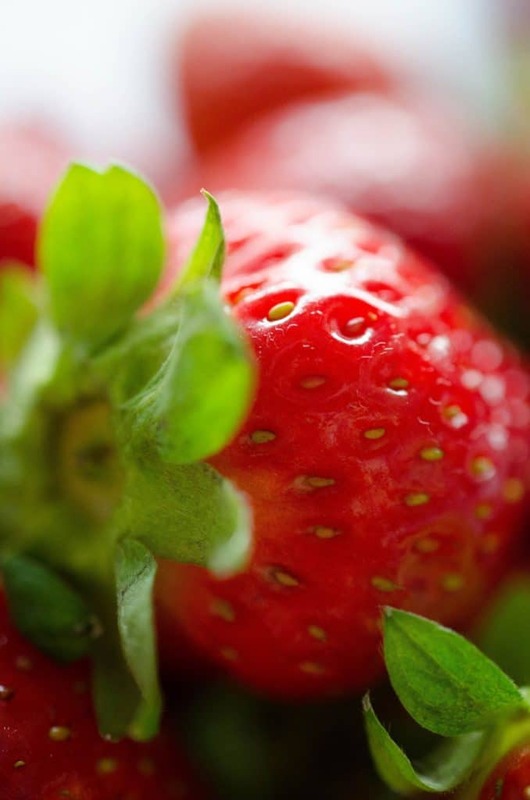 Strawberries are best when they’re locally in season, from late April to August in the Northern Hemisphere. Try to get your strawberries at your local farmer’s market! Supermarket berries are a bit older due to shipping and tend to be less flavorful. Store berries uncovered in the refrigerator for about 3 days. Take them out of the fridge 30 minutes or so before you want to eat them. They taste sweeter when room temperature! Be sure to remove any overripe or moldy berries, as they’ll make the whole batch go bad quicker. Only wash strawberries just before eating. Washing them too soon makes them prone to mold. Freeze your soon-to-go-bad strawberries for the winter (or for smoothies!) Slice off the top, chop em up, and lay on a parchment paper-lined sheet. Freeze until hard then transfer to a freezer safe container. It’s super easy to hull strawberries without a mess or any fancy gadgets. 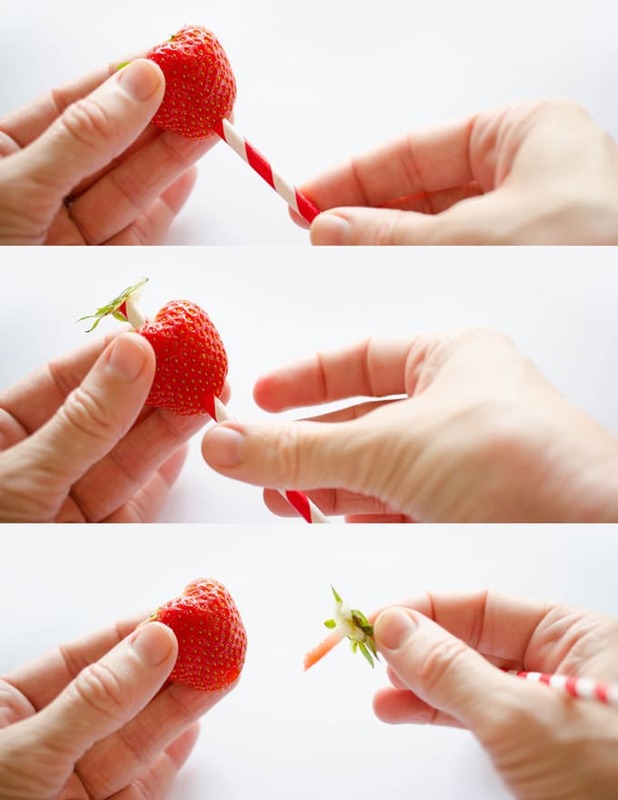 Just poke a drinking straw through the center of the bottom of the strawberry and push up! Aside from the tried and true sweet strawberry flavor pairings, here are a few other ingredients that go great with strawberries, for your kitchen experimentation! 149% DV of Vitamin C: A water-soluble vitamin that acts as an antioxidant to fight against potentially damaging free radicals (molecules with unshared electrons that float around wreaking havoc) and an important cofactor in collagen synthesis. 29% DV of Manganese: A trace element that plays a role in healthy brain and nervous system function. 9% DV of Folate (Vitamin B9): A water-soluble vitamin that helps make DNA & RNA and metabolize amino acids.